In case you weren’t sure, Suspended Solids is simply a density measurement used to describe exactly how much waste sludge and particles are in the water, and is measured in milligrams per litre (mg/l), grams per litre (g/l) or percentage solid (%). 1000mg/l = 1g/l = 0.1%. It is used to calculate the amount of material, or load, in a wastewater or industrial system. Suspended Solids can be made up of both organic material (such as algae and plankton) and inorganic material (such as silt and sand) depending on the location, and while high levels can occur naturally in some streams and bodies of water, generally a lower measurement is best for healthy water. So why is it important that we measure it? Regularly measuring Suspended Solids concentration is paramount in ensuring you can react quickly to any changes in the process which is key in maintaining an efficient, environmentally-friendly treatment plant! 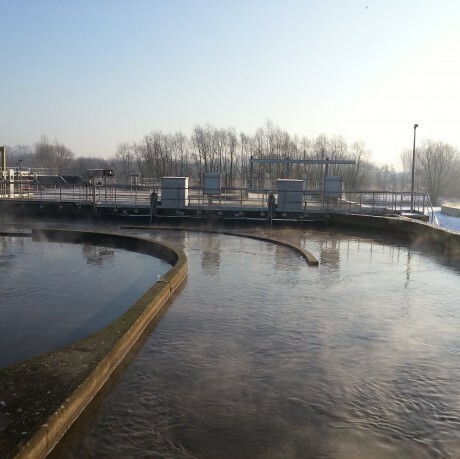 Suspended Solids are monitored within the treatment works to ensure that the biological treatment process runs efficiently. If the solids are too high then there is a risk that the system will become overloaded, requiring more oxygen to be provided, wasting energy. If the solids drop then the biological agents will run out of “food” and start to die, leading to a drop in efficiency and an expensive “re-stocking” process. Suspended solids also has severe impacts on the natural environment – but here it is better to use Turbidity as a primary measurement. How do we go about measuring it? To start with, we’d take a litre of water from the area as a sample, and perform a gravimetric analysis which involves filtering the water to collect the solids, drying them in an oven, and weighing them to find the density. We would then use this density measurement from our sample to calibrate the sensor. Then when you come to take a raw Suspended Solids reading with the sensor, it will compare it to our calibrated sample to ensure there have been no changes. We also offer a portable Suspended Solids sensor (the 740), which can store up to 10 calibrations! This is great if you need to be measuring several different locations. How it is different to Turbidity? It measures the density of particles in a solution by using the gravimetric analysis method. Meanwhile, Turbidity measures the effect particles in the water have on light transmission. In a sense, they are both measures of water clarity, but the difference is important because different types of solids will produce a different suspended solids measurement due various densities, even if the Turbidity stays the same. Turbidity should be used as a simple indicator for changes in water clarity, and be a prompt for further testing, whereas measuring Suspended Solids gives a much clearer picture of what’s actually going on. For more information, or to talk to us about one of our products, feel free to give us a call!